When you choose to have a realignment treatment, it may feel like you just get fitted with invisible braces in Clapham and then wait for the results. However, there are plenty of things that you can do to work you’re your treatment to make it feel more comfortable and perhaps even like the time is flying by a little quicker. 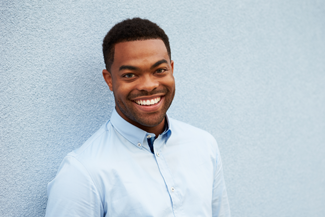 At Clapham South Dental Centre, we’re all about giving you the top tips and support you need to have an excellent teeth-straightening treatment. 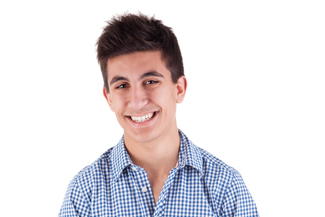 We know that working with invisible braces in Clapham to achieve the results you want takes time. We’ve helped lots of patients through the process, so we have lots of experience making that time easier. We invite you for a check-up every 6 weeks or so when you have invisible braces in Clapham with us. Not only is this visit vital for the progress of your treatment, but you can also use the time to tell us about your experience so far. We want to hear about the good bits and any challenges you face. Never assume that any difficulties are just something you need to endure to get a straight smile. There may be a simple solution that we can offer to change your experience. The reputation of braces improves all the time. However, in some people’s minds, there is still a stigma attached to wearing teeth straightening equipment. Invisible braces will certainly reduce any lingering feelings of self-consciousness that you might feel around the treatment, but they may not make them go away entirely. Before you even start treatment, take a moment to think about why you are doing this, what you want to achieve and be proud of what you are doing. This will help you mentally, but it will also give you a good patter to provide in response to the inevitable questions you will face when wearing braces as an adult. In order to have the same fresh breath with braces that you enjoy without them, you need to make sure you clear all the debris out of your equipment with mouthwash, brushes and floss. This entry was posted in Invisible Braces on 18th April, 2019 by Clapham South Dental Centre. What would make you more likely to get your teeth straightened? Would it be knowing that you can eat whatever you like and won’t have to spend ages in front of a mirror picking food out of your braces? Would it be knowing that you can undergo treatment and no-one else need know about it? Would it be both? At Clapham South Dental Centre, we have found that many people are happy to get their teeth realigned once they know that modern invisible braces in Clapham are available to do the job. Invisible braces in Clapham mean that patients can go about their daily lives without having to fend off stares and personal questions. This can be especially important for people who work with the public, or need to have an air of authority in their work. Can you imagine taking a parking ticket off someone in braces, for example? We offer invisible braces in Clapham that are fixed to the tongue side of the teeth. These are great braces for people with more complex alignment issues. Each bracket is made specifically for the curvature of each tooth. These braces cannot be seen, and so straightening remains private. We also offer removable clear aligners. These look more like mouth guards than traditional braces. Once you have been measured for them, you receive a series of 3D printed aligners. Inside each one are precision placed pressure points. The position of these change as you work your way through the series and your teeth move in response to the pressure. You usually wear each aligner for 7-10 days before moving onto the next. The aligners come out every time you consume anything other than water. You brush your teeth before putting them back. As long as you wear your aligners for at least 20 hours a day, your treatment will stay on track. We also have aligners that sandwich the front teeth between 2 clear plastic aligner bows. These are also removable for eating and cleaning. Plus, they double up as a retainer. Treatment times vary depending on your alignment issues. Come on in for a consultation. This entry was posted in Invisible Braces on 28th March, 2019 by Clapham South Dental Centre. Why aren’t invisible braces in Clapham for everyone? More and more people are choosing to wear discreet braces over metal braces in recent years and that’s because the former are now widely available in many types and forms. Invisible braces have many benefits over regular braces and they are ideal for people who are conscious of their appearance at all times. Even though it seems that invisible braces in Clapham can work for anybody, unfortunately, they are not a great dental solution for all patients. To see if you are a good candidate for invisible braces in Clapham, you should book your appointment with one of our experienced and talented dentists at Clapham South Dental Centre as soon as possible. Invisible braces are designed primarily for adults, but in some cases, they are also suited for teenagers whose teeth have grown sufficiently. Patients can choose between fixed and removable invisible braces, although technically speaking Invisalign removable aligners are not braces. Invisible braces can treat a wide variety of dental issues as long as they are not too complex – in some cases, old and trusted metal braces are a better option. Your dentist will examine your teeth carefully, conduct all the necessary tests and help you determine if invisible braces are the right treatment option for you. While invisible braces can fix a variety of dental problems and they are constantly developed to address these issues, their effectiveness is limited. Unlike traditional metal braces, invisible braces such as Invisalign do not give your dentist the same amount of control over your dental movements. Consequently, invisible braces can’t really address really complicated dental issues such as twisted, rotated, badly misaligned and extensively gapped teeth, nor can they treat structural bite problems and skeletally based malocclusions that affect the jawbone. If you want to learn more about invisible braces and all that they can offer for your smile, contact us today to get started. Our experienced dentists are certified providers of invisible braces in Clapham who use the most current dental technology available to transform your smile. This entry was posted in Invisible Braces on 14th March, 2019 by Clapham South Dental Centre. Dental technology has evolved rapidly in recent decades and now patients are presented with many choices when it comes to teeth-straightening treatment. Invisible braces are as effective as regular braces and are very popular among teenagers and adults because they promise to straighten your smile without compromising your appearance. At Clapham South Dental Centre, you have more than one option when it comes to invisible braces in Clapham. Invisalign aligners, in particular, are very popular because they can straighten your teeth discreetly and effectively. How will Invisalign move my teeth into their correct position? Like brackets on braces, Invisalign aligners will move your teeth by placing controlled force on them. More specifically, Invisalign aligners have various pressure points on their surface, which place pressure on your teeth, helping them move into their correct position. Unlike braces, Invisalign aligners pull rather than push your teeth to help them realign. More importantly, Invisalign aligners do not only control the type of forces exercised on your teeth, but also the timing of these forces. Your dentist will create a customised treatment plan consisting of several pairs of aligners to be interchanged every week or 10 days and during each stage, only certain teeth are allowed to move. What are invisible braces in Clapham made of? Though not technically braces – because they are not fixed to the teeth – Invisalign aligners are made of durable plastic. Invisalign aligners are custom-made for each patient, they can be easily removed and are designed to move your teeth in the sequence that your dentist has determined from the beginning of your treatment. How long has Invisalign been around? Invisalign aligners have been around since the 1990s, but they grew in popularity recently due to more advanced technological achievements. Modern Invisalign aligners are almost invisible, lightweight, can be removed when you have to eat or clean your teeth and produce all the movements required for comprehensive and effective teeth-straightening treatment. Are invisible braces in Clapham right for you? To learn more about Invisalign and how it can help you regain your smile, contact us today. We are here to assist with any questions you may have. This entry was posted in Invisible Braces on 21st February, 2019 by Clapham South Dental Centre. What can we achieve with invisible braces in Clapham? We all have a stack of blueprints in our minds. One tells us what we think a good life looks like, another tells us what we think love should feel like. The extent to which our experiences match our blueprints determines how happy and satisfied we feel with the various aspects of our life. There are two ways to use this knowledge to improve your outlook. Either you can change the world or change your blueprint. Most often, we are working on doing a little of both. At Clapham South Dental Centre, we like to find out what your blueprint of a perfect smile looks like. If you’re not 100% sure, we can also offer you guidance on what is popular and aesthetically pleasing. One of the ways we know that are treatments are improving the way people feel is that some of them increase in popularity over time. 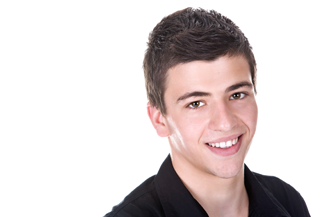 Teeth straightening with invisible braces in Clapham is one of our up and coming procedures. More and more adults ask about realigning their smile as they begin to understand what we can achieve in a short time with discreet equipment. The issues that mar a beautiful smile include gaps, crooked teeth, overcrowding and a poor bite profile. Depending on the severity of the issue, our team at Clapham South Dental Centre might be able to help using invisible braces if any of these apply to you. Invisible braces tend to focus on the teeth that are visible when you smile. 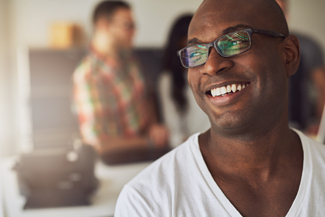 While there are often some clinical benefits to straighter teeth, the primary goal of a treatment with invisible braces is improving the appearance. The advantage to this is that treatment times are shorter than many traditional procedures. You can look forward to seeing your beautiful new look in under a year in many cases. Visiting Clapham South Dental Centre for a consultation is the first step on the road to getting invisible braces in Clapham to improve the look of your smile. We can give you more information about how you will look and feel during your treatment and answer any questions that you might have. This entry was posted in Invisible Braces on 31st January, 2019 by Clapham South Dental Centre. Is there a proper way to take care of your invisible braces in Clapham? Invisible braces come in different types and forms, but they all have one thing in common – they straighten your teeth without being noticeable. This is achieved with the use of discreet materials such as transparent plastic or tooth-coloured porcelain. But are invisible braces in Clapham easy to maintain? 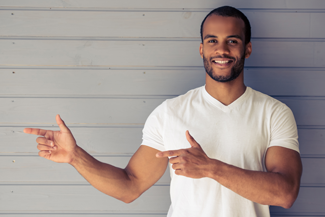 At Clapham South Dental Centre, we will teach you a thing or two about how to properly clean your invisible braces in Clapham. Depending on the type of braces you choose (fixed or removable) certain things may change. Invisalign aligners are very convenient since you can take them off during the day in order to eat or brush your teeth. Your aligners will need to be cleaned every time you take them out so that they don’t stain. This can be done with the help of plain water or a special cleaner (which could be a cleaner designed for dentures). Always remember to remove your aligners before you eat or drink (unless you want to drink water), since they are not designed to sustain pressure through chewing and biting. If you opt for fixed invisible braces in Clapham, things are a little more straightforward when it comes to cleaning. Again, you will need to brush your teeth gently so that food is not trapped in-between your brackets and wires. Your dentist may recommend special interdental brushes to achieve this task easily. Whether you have booked an appointment for a general check-up or a rearrangement, don’t postpone it. Your teeth will move little by little each week according to your treatment plan and your dentist will need to make sure that these movements have actually taken place. More importantly, if you break your aligners or braces it is really important to let your dentist know as soon as possible so they can replace them for you without losing valuable time. 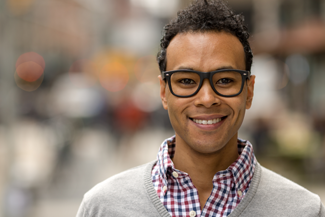 Overall, it is really important to take good care of your invisible braces in Clapham. If you are unsure about what you need to do, give us a call and we will provide you with proper instructions. This entry was posted in Invisible Braces on 17th January, 2019 by Clapham South Dental Centre. If you have misaligned teeth you want to fix, but don’t want to wear traditional braces, invisible braces in Clapham could be the answer for you. 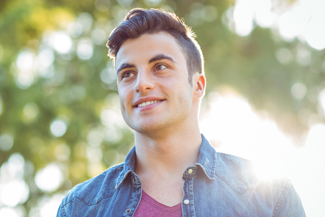 At Clapham South Dental Centre, we offer a range of different invisible braces, so there is sure to be one that suits you. There are a number of different types of braces that can be classed as invisible. Invisalign clear aligners are removable aligners that can work on a wide range of orthodontic problems. The advantage to removable aligners is that you can remove them for eating, cleaning your teeth, and other personal reasons. Damon braces offer a clear version of their traditional braces that are very discreet. The clear, tieless brackets are barely noticeable yet work fast and have great results. Incognito lingual braces are fixed to the backs of the teeth, so anyone looking at you won’t notice them. Incognito offer both full braces and a Lite version which concentrates on just the front teeth. Cfast offer clear bracket braces, lingual braces and clear aligners. Can anyone use invisible braces in Clapham? Whether or not invisible braces are suited to you will depend on the severity of misalignment. Invisible braces are not generally as strong as traditional metal braces, so if you have a particularly severe or complex misalignment, your dentist may advise using traditional metal braces. For the majority of people with mild to moderate problems though, invisible braces will work well. How long to invisible braces take to work? The length of time you need to wear them for will depend on the system you are using and the severity and complexity of your misalignment. Cosmetic issues with just the front teeth can be corrected very quickly, and orthodontic problems will take longer. You may be impatient to have your teeth fixed as quickly as possible, but it is important to follow your dentist’s advise regarding invisible braces in Clapham to ensure your teeth and bite are fully corrected. If you are unhappy with your smile and considering invisible braces in Clapham, come in for a consultation. The dentist will talk you through all the options, prices and timescales. This entry was posted in Invisible Braces on 20th December, 2018 by Clapham South Dental Centre. There are 2 things that put people off getting their teeth straightened. Here at Clapham South Dental Centre, time and time again we hear that our patients would love to get their teeth aligned, if only no one could see their braces and they wouldn’t have to go through all that hassle of cleaning carefully round brackets to remove food. These are valid reasons to avoid treatment, especially for adults with busy lives and careers that require them to look professional at all times. But, having said that, having wonky teeth is becoming less acceptable with each passing year, with more pressure to have great teeth than ever before. That’s why at Clapham South Dental Centre, we love that look on people’s faces when they find out there is such a thing as invisible braces in Clapham. Invisible braces in Clapham not only can’t be seen by anyone but the closest observer, you can also take them out for eating and cleaning. With invisible braces in Clapham, there are no more excuses for not getting your teeth straightened. Invisible braces in Clapham look like ultra-thin mouth guards. The difference is that inside each aligner are precision placed pressure points that press on the teeth to gently nudge them along the path to alignment. You receive a series of aligners and wear them, from the first to the last, for a week to 10 days. You will know when to change to the next one because the feeling that they don’t fit will have worn off. Every time you want to consume anything other than plain water, you simply take out your aligners, store them in their carry case, eat and drink, clean your teeth and the aligners and put them back in. Easy. Treatment times vary, but the average length is a year. Everyone has to wear a retainer afterwards to keep the teeth in place while the newly formed bone settles down and hardens up. Invisalign consultations are free. Come in and have one. This entry was posted in Invisible Braces on 29th November, 2018 by Clapham South Dental Centre. If you could get your wonky teeth lined up properly, and do it without people knowing what you were up to, would you go for it? If you have answered yes to this question, you are not alone. Many people would love to get their teeth straightened, but cannot face going through months of squirming self-consciousness every time they open their mouths and show the world the clunky metal train track braces cemented onto their teeth. Train track braces are for kids, right? Maybe they are, but that does not preclude adults getting their teeth realigned, because here at Clapham South Dental Centre, we have a great range of invisible braces in Clapham. What are invisible braces in Clapham? Invisible braces is an umbrella term used in the dental profession for any teeth straightening devices that have been designed with discretion in mind. Some are more invisible than others, but all are way less intrusive than the metal braces we all associate with the gawky early teenage years. Dr Tomos Crandon is our resident braces dentist. He has spent extra years after dental school studying for a postgraduate degree in braces dentistry and many years after that working as a braces dentist. When you see Dr Crandon, you are getting treatment from a highly skilled and experienced dentist. He will be able to advise you on which braces are best for realigning your teeth. The treatment times vary depending on what needs to be done. Teeth can only move so fast, but the younger you are, the quicker your jawbone is able to resorb and rebuild the bone. This is the process that moves the teeth. We put pressure on them and the jawbone responds to this process to relieve the sustained pressure. Keeping up the pressure in a particular direction is how we can get your teeth lined up properly. After you finish your braces treatment, you will need to wear a retainer, either bonded to the back of your teeth or a removable one, to keep your teeth in place while the bone hardens around them. This entry was posted in Invisible Braces on 15th November, 2018 by Clapham South Dental Centre. Once you begin your journey towards straight teeth with us at Clapham South Dental Centre, we will be with you as the months roll by to support you through treatment. People choose to have their invisible braces in Clapham with us because of our professional levels of care and communication. When you start your treatment with us, we’ll break down the different steps and milestones, so you can see your way all the way to the end of your treatment. The months will soon fly by when you know what to look forward to with invisible braces in Clapham. Once you have had your initial consultation with us, we can get you underway relatively quickly. We need to plan your treatment and undertake various scans to gather the data we need to allow our partners to make the braces you need to achieve the smile you have always dreamed of. Depending on the method you choose to work with, you may need a fitting appointment where we affix your braces to your teeth. If you choose to work with invisible braces in Clapham like Invisalign, your first appointment will simply consist of picking up your new set of aligners. Once your treatment is underway, you will visit us every six weeks or so. This will allow us to monitor your treatment to check that everything is progressing as planned. We can make small adjustments along the way according to the needs of your teeth or in response to feedback from you. One of the other ways we can help month by month is to offer you a finance plan that helps to spread the cost. As your treatment progress, you can pay a certain amount each month towards your procedure. For many people, this means that they can get going straight away without having to wait. It makes the options more accessible for people and allows them to budget. Finance is subject to a status check. We can talk to you more about this when you visit us for invisible braces in Clapham. This entry was posted in Invisible Braces on 11th October, 2018 by Clapham South Dental Centre.